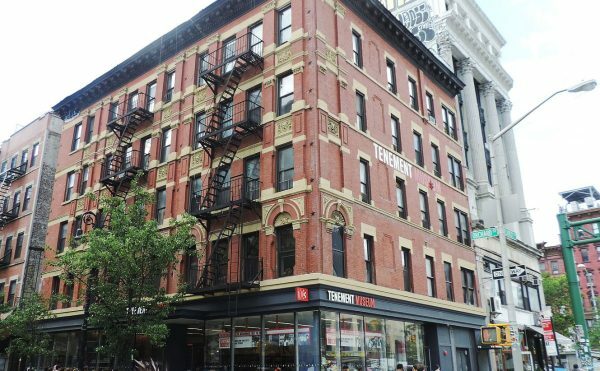 I went to three group shows recently, two on the Lower East Side and one in Chelsea. 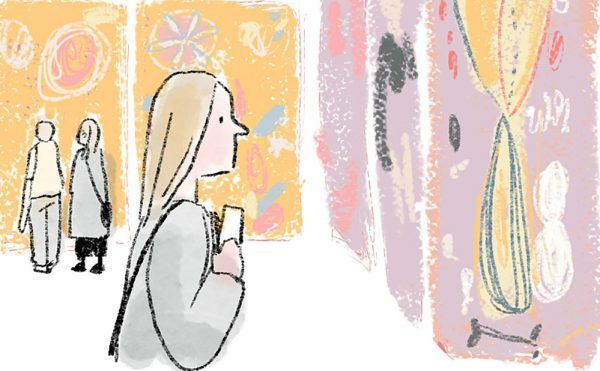 There were artists in each exhibition whose work I had seen, and artists whose work I had never seen, which seemed to me as good a reason to go as any other. These are the shows I saw: Painting Forward at Thomas Erben (February 18–April 2, 2016); Real States at Steven Harvey Fine Art Projects (February 10–March 13, 2016); Subliminal Shifts at Tracy Williams (January 22–March 6, 2016). This meant that I saw work by 13 artists (or a baker’s dozen), as presented from three points of view. In the work of these five painters, newly relevant positions are found by abandoning artifice and irony, and depicting subjects in unadorned and direct ways. The three artists in this exhibition all make paintings that engage abstract or abstracted forms on the armature of an implied grid. 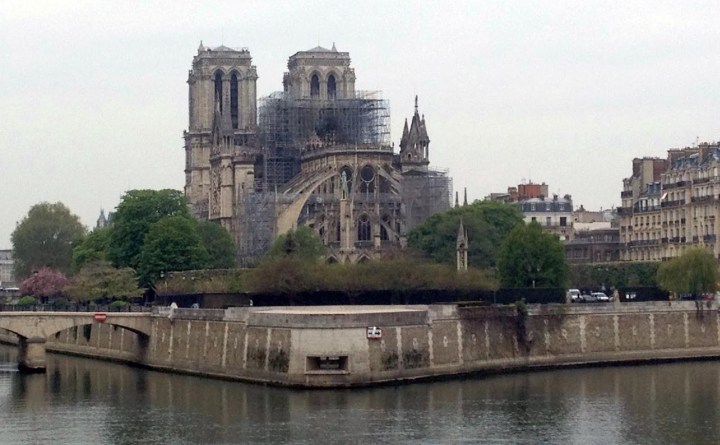 However, these forms and shapes are simultaneously allowed to fall away from any such structure. This “on-grid / off-grid” tension permeates the work of all three painters. This presentation unveils an assemblage of artists living and working in New York, Berlin, Paris, and Chicago, all of whom predominantly practice an abstract idiom, investigating paint through a lens that is entirely distinct. If you see lots of work by different artists, you are going to make your own connections; you will like some things more than others — a situation that is always subject to change — and be tempted to theorize the entire experience. I didn’t know the work of Haley Joseph at Thomas Erben, Clare Grill at Steven Harvey, or Samantha Bittman at Tracy Williams, and I am now looking forward to seeing more by each of them. 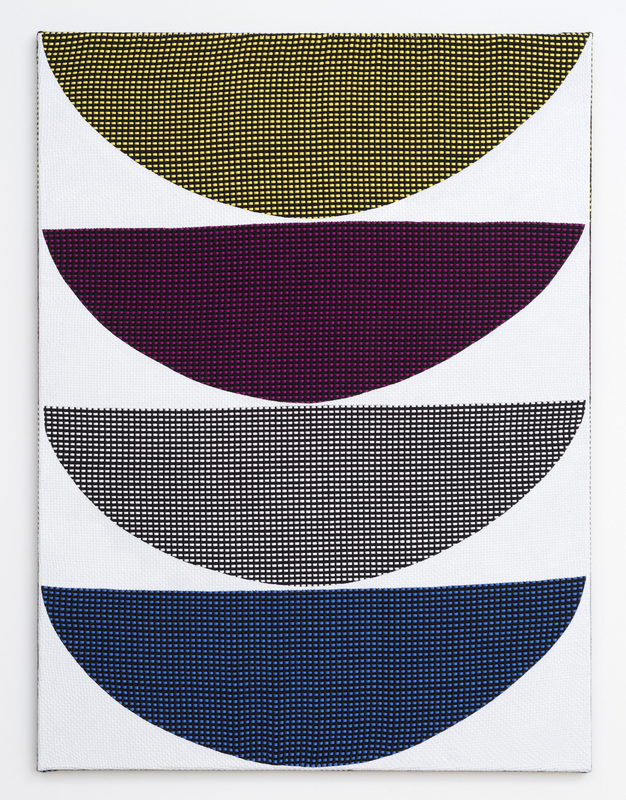 Samantha Bittman paints on patterned cloth that she weaves on a loom. As she told Deborah Shapiro on the website Sight Unseen, “in my work the graphics and the images are made up of an accumulation of parts and you can always see the totality and the parts at the same time.” Intricately woven, her surface is physical and optical; this is what Bittman applies acrylic paint to, usually making precise shapes that partially cover the pattern while bringing a new configuration into play. The process is painstaking and necessary. And yet, by partially obliterating the pattern, Bittman demonstrates that she isn’t precious, that she is after something more. 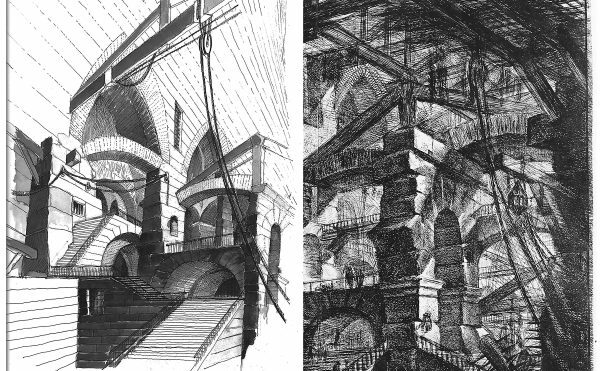 Clare Grill often uses drawings (or a section of them) as a starting point. She makes the drawings in response to embroidery samplers that girls and young women used to sew to demonstrate their needlework skills. Grill seems more interested in the weathered surfaces and muted colors of the sampler than the prayers or alphabet sewn on it — the tactile and optical features are focus of her attention. Done in muted, closely related colors, Grill is a tonalist whose paintings are comprised of interlocking and overlapping shapes that critics have compared to Paul Klee. For my money, Grill’s “Horsehoe” (2015) — with its changing textures, color shifts, and overlapping shapes — isn’t as static as a painting like Klee’s “Monument in Fertile Country” (1929). While Bittman is interested in pattern, Grill is not. Still, one senses an underlying connection between them in their interest in weaving and sewing, in “women’s work.” Their interest in these things is both formal and subjective, an increasingly potent combination in a world that prefers objectivity, parody, and irony. 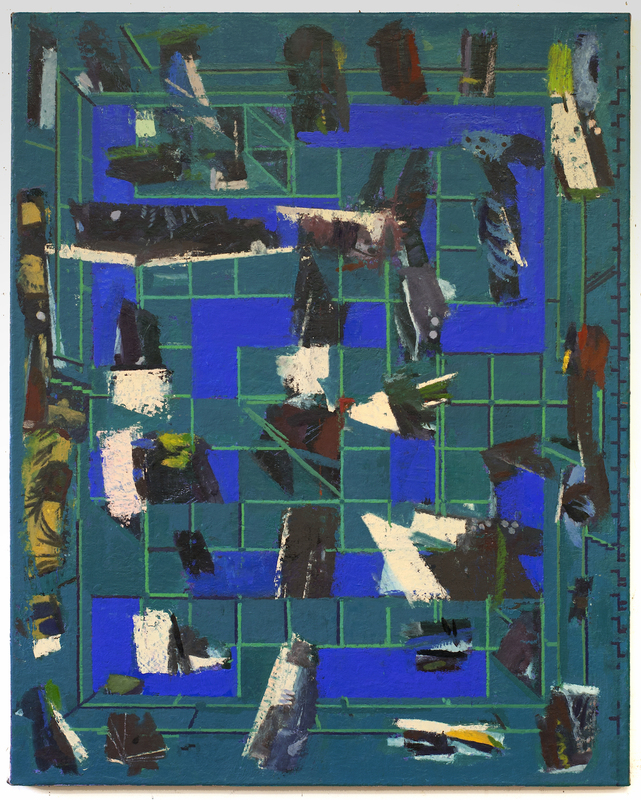 In “Floorplay” (2016), which can be seen alongside Grill’s work at Steven Harvey Fine Art Projects, Sangram Majumdar depicts an overhead view of early video game, with its geometric, maze-like terrain. On top of this blue and green ground Majumdar has depicted scattered pieces of a reproduction of an Indian miniature painting, which seem to allude to his childhood — he was born in Kolkata, India, and moved with his family to Phoenix, Arizona, when he was 13. There is a lot to like about this painting. My one quibble is that although the scattered images are always legible, I think they should be crisper, which I think would make the painting even more jarring than it already is. The other artist at Steven Harvey Fine Arts Project is Tom Burckhardt, whose work I have written about before. So I will keep my observation brief: he keeps getting better and better. Another artist whose work I have long been interested in, but I have not written about until now, is Ellen Berkenblit, whose painting, “Night Vibe” (2015) is in Subliminal Shifts at Tracy Williams. 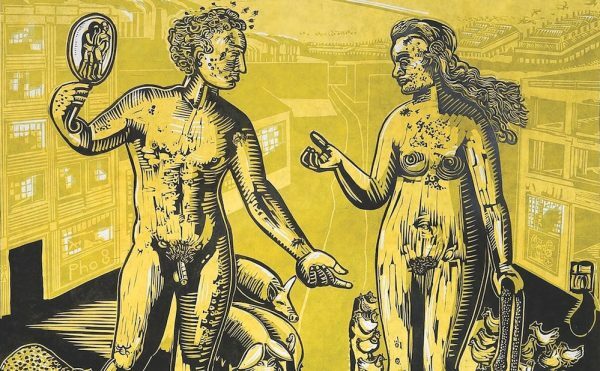 Will someone please give Berkenblit a museum show already? At the very least, her work is as interesting — if not more so — as some of what her better-known peers are known for. 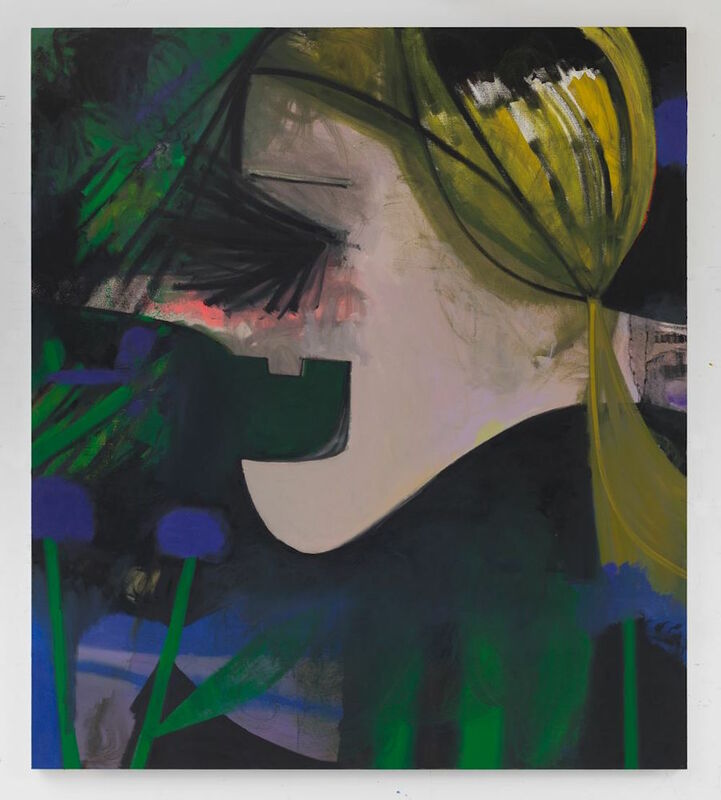 “Night Vibe” has the well-known Berkenblit profile — a flat shape with a pointy nose, an open-mouth sporting a single, tombstone-like tooth, and dirty-blonde hair tied into a pigtail — stretching from one side of the painting to almost the other. Black, bristle-like lines, denoting lashes, fan out from her eye socket, completely enveloping the eye. I think it is very hard to reuse a cartoony image and continue to hold the viewer’s attention. Berkenblit is the rare exception. The painting inhabits at least two perceptual zones: nightmare and fantasy. There is nothing ironic about it. I started off this review by saying that Joan Brown and Charles Garabedian are the presiding spirits of the show Painting Forward at Thomas Erben. They could also be described as the presiding spirits of today’s art scene. 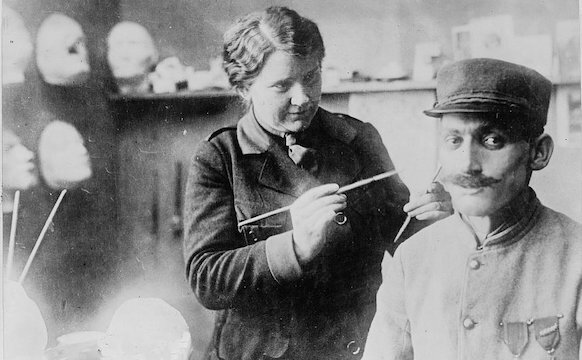 By that I mean they did something more than go their own way; each developed a pictorial language that was unmistakably her or his own, and, more importantly, was simultaneously accessible and mysterious — a complete world that never gave itself entirely away. 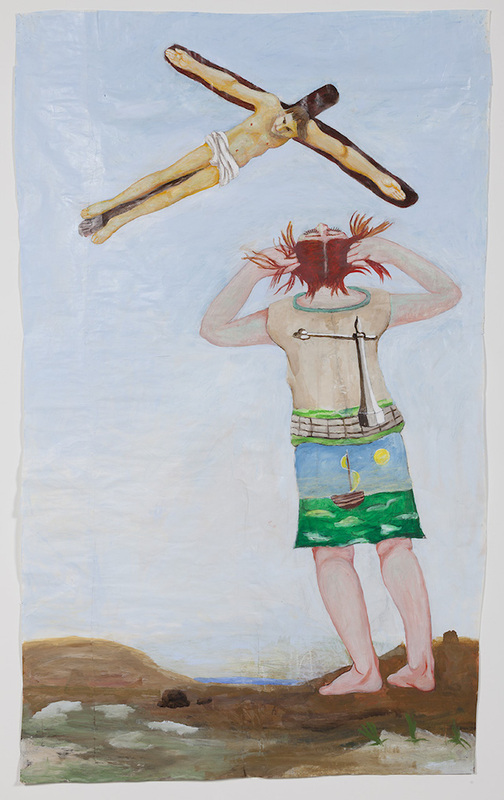 This connection does not clarify Garabedian’s painting, which most likely will always remain baffling, unyielding to discursive meaning. It illustrates nothing but itself. This trait is what Garabedian’s painting shares with Burckhardt’s abstractions on cast plastic. I am tempted to stop here, which would suggest that this kind of visual conundrum is all that I like, but it isn’t. 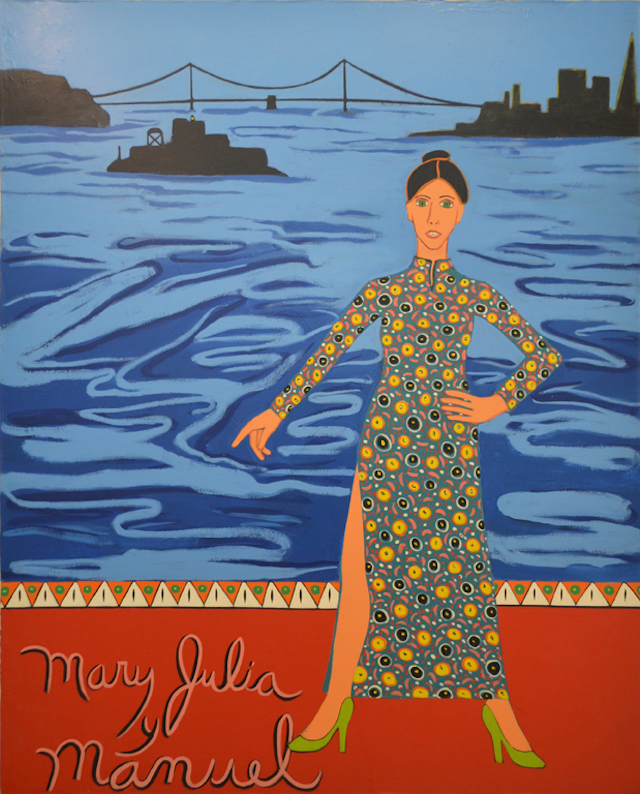 I liked Joan Brown’s full-length self-portrait, “Mary Julia y Manuel” (1976), which shows her in a patterned cheongsam, standing in front of a painting of the San Francisco Bay. I remember once suggesting to a magazine that I write an article about the paintings Brown made to document her attempt to swim around Alcatraz. They were, I argued, a very different view of the “heroic.” That was in the late ’80s, and they weren’t interested. The editor wanted something more relevant, more hip, more now. A few months later Brown was killed in accident while installing one of her obelisks in India. Also included in Painting Forward at Thomas Erben, Kyle Staver’s triptych, “Diana & Actaeon” (2012) is the last painting I want to mention. For those who need brushing up on their Greek mythology, Actaeon had the misfortune of stumbling upon Diana, chaste goddess of the hunt, while she was bathing. For this indiscretion, Actaeon was turned into a stag and hunted down by his own dogs. Look at the way the dogs are painted in the left panel, all friendly and wide-eyed, probably begging for food, as dogs are known to do. And then look at them tearing ferociously into the stag (their ill-fated master) on the right. There is something comic and horrific about the dogs and how they change from one panel to another. The strongest artists in today’s scene pursue their own preoccupations, wherever they might lead. To make art that looks like no one else’s, not even those you would consider part of your family tree or perhaps even ancestors — that seems to me a very different goal than irony, citation, parody, and appropriation, all the familiar tricks from the past four decades. Years ago, the French critic and theorist Pierre Restany declared that the common feature shared by the “Nouveaux realists” was their “poetic recycling of urban, industrial and advertising reality.” Recycling seems to be a curatorial approach that many museum curators share. And yet such an approach ignores the work of seriously intelligent and venturesome artists. The simultaneous occurrence of these three shows strikes me as an opportunity that museums are on the verge of missing. It won’t be the first time. 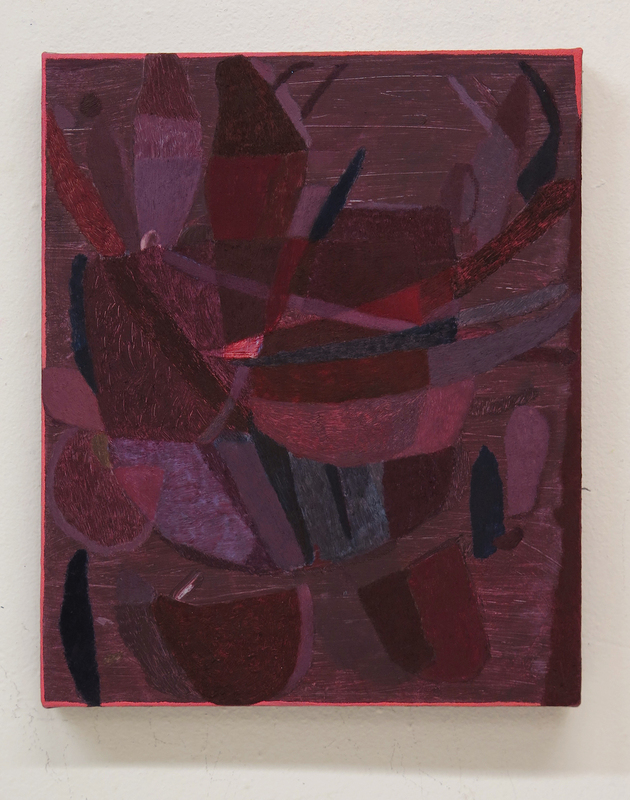 Painting Forward continues at Thomas Erben (526 West 26th Street, Chelsea, Manhattan) through April 2. Real States continues at Steven Harvey Fine Art Projects (208 Forsyth Street, Lower East Side, Manhattan) through March 13. Subliminal Shifts continues at Tracy Williams (55 Hester Street, Lower East Side, Manhattan) through March 6.